A new question replaces its old #3, which asked applicants to evaluate themselves as if they were a member of the Kellogg Admissions Committee. Applicants now choose two out of four essays for #4; previously they responded to 3 out of 6. Two of the #4 questions are new for this year. First of all, thank you to the blog reader who emailed me that Kellogg’s questions are online! You know who you are, and I appreciate it. The deadlines are not yet up on Kellogg’s site so I’ll add them when they become available. The length guidelines for #4 are not yet available. I will add them when they become public. The remainder of my comments are in red below. A – Master of Business Administration applicants only: Briefly assess your career progress to date. Elaborate on your future career plans and your motivation for pursuing a graduate degree at Kellogg (one-two pages double spaced). This question is the same as Kellogg’s #1 for the last several years. Kellogg wants to know your goals and how Kellogg will help you achieve them. As I have said repeatedly, goals are front and center in the MBA application. You need to connect the dots between your past, your desired future, and Kellogg to answer this question well. Thought and research are prerequisites. When writing my Kellogg tip for last year I referenced an email from a client. In the email, he thanked his editor for pushing him to clarify his goals — which he didn’t want to do. He acknowledged how important they are. Make sure you know why you want an MBA before you start to answer this question. B – Master of Management and Manufacturing applicants only: Briefly assess your career progress to date. How does the MMM program meet your educational needs and career goals? (one to two pages double spaced). A variation on the theme introduced in A but for those interested in an MMM. Same basic advice applies, just for the MMM. 2.) Each of our applicants is unique. Describe how your background, values, academics, activities and/or leadership skill swill enhance the experience of other Kellogg students. (one to two pages double spaced). Again, the same as last year (and if my memory serves me, the last several years). What are you going to bring to the Kellogg party that every other IT professional, investment banker, marketer, and consultant cannot bring? Is it a commitment to community services? a sports craze? musical talent? dance ability, auto racing, a unique personal story? This essay begs for an anecdotal approach and individuality. However, don’t forget Kellogg’s commitment to community and teamwork. If you can show those qualities too, this essay will be a home run. Today I talked to a few MBA telethon participants with "typical" or "common" profiles. While it is prudent for them to be concerned, they each have certain aspects of their background and experience that are highly distinctive. If you hail from an over-represented group in the applicant pool, you need to highlight those points of difference. This essay is a wonderful vehicle for showcasing at least one point of distinction. 3.) How have your past and current leadership experiences prepared you for Kellogg? What leadership areas are you hoping to develop through your MBA experience? *** New Question** Kellogg of course is famous for its teamwork. It certainly wants students with strong teamwork skills, but it also wants leaders. Don’t be taken in by Kellogg’s teamwork mantra and laid-back reputation. Employers wants to see leadership in Kellogg’s grads, and you need to show leadership in your application — especially in answering this question. This question allows you to both spotlight your outstanding leadership skills and show your knowledge of Kellogg. Go beyond your response to #1 and focus here on leadership. A corollary of this tip would be to use #1 to focus on non-leadership aspects of business. As usual, you don’t have a lot of room to elaborate. Choose 1-2 examples not discussed in depth elsewhere in the application. State how they prepare you for Kellogg in terms of allowing you to demonstrate "leadership potential" or "diversity of thought and experience." Don’t forget to answer the last part of the question. 4.) Applicants must answer 2 of the below essays. (Re-applicants must answer question 4D and 1 other essay). For #4 choose the essays that allow you to reveal the "diversity of thought and experience" Kellogg values, along with the personal qualities it seeks: leadership, teamwork, communications ability, and interpersonal skills. At the same time, keep a balance between the professional and non-professional in your application. Although this recommendation varies from applicant to applicant, I usually recommend a 2:1 ration of professional: non-professional content. Again, that is a guideline — not a rule cast in concrete. enjoy doing what? Again, if you have multiple pleasures, choose one that shows teamwork or other qualities Kellogg values. Sometimes the most interesting and individualistic answers come in response to this question. Have fun with this one. Again let this essay show a different facet than is revealed by the other essays. 4C – Describe the most challenging professional relationship you have faced and how you handled it. When did you not get along with a boss or co-worker? How did you deal with him or her? Hopefully you managed to develop a successful working relationship. If not, how did you do better the next time around. A PAR or CAR approach would work well here. 4D – (Required essay for re-applicants only)—Since your previous application, what are the steps you’ve taken to strengthen your candidacy? No trick questions here. How are you a better candidate today than when Kellogg rejected you last time? Have you addressed weaknesses in your previous application? If you aren’t sure where you fell short, see if you can still receive feedback from Kellogg or obtain an MBA Application Review. Responding to the Kellogg application essays will tell the committee a lot about you, your character, and your interests — if you do a good job. It is a solid and comprehensive set of questions. And Kellogg provides them to you early enough to get a head start. 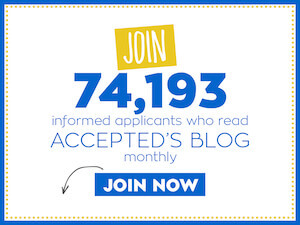 If you want to start now on your Kellogg application, please keep in mind that Accepted.com is running an Early Bird Special through the end of July: 10% off all MBA essay consulting and editing. In addition we just introduced our Kellogg consulting and Editing Comprehensive Packages. They too are 10% off this month. Start your applications early, submit first round, and save money. Last updated on July 11, 2007. I’m sorry it has taken me so long to respond. I was out of town and then got sick. In any case, I can’t quantify the difference. My sense is that the acceptance rate probably is at most 50% of the acceptance rate during the first two rounds,but that is a gut feeling based on absolutely no data. I’m considering applying to Kellogg for round 3, but I’m not sure whether I’m just wasting my time. I’ve already been admitted at Columbia, but I’d like to take a shot at Kellogg. Not sure you can quantify, but how much tougher is it? Any particular way to frame a round 3 application? They mean it when they give a limit, but if you really feel your essay is meaty and that you have to provide greater info, then take the risk. How strict is the length requirement for these essays? In particular, my essay 1 is 2 pages and a paragraph. I feel as though my background in the arts warrants further explanation to enter business school and thus my career progress-to-date is longer. What do you think? I would write essays showing how you are an even better candidate than you were last year. Simply reusing last year’s essays may convey the impression that you don’t seek to improve and that you have stagnated since last year. For more suggestions, please see http://www.accepted.com/Ecommerce/BetterSequel/MBAreapplicant.aspx and http://www.accepted.com/mba/reapplicants.aspx . Linda, I am a reapplicant to Kellogg. I was on the waiting list last year. It appears as though my GMAT was on the lower end of their acceptance range. Do I have to write new essays for questions that are repeats from last year, or can I use last years essays instead. I feel that those essays are a true reflection of my personality, and I am not so sure that I can reinvent myself this year. What would you do? I think you should ask Kellogg that question. If they so no, you can use 4B. Hi Linda, quick question. Kellogg does not seem to have an optional essay. Can i still write one? I have a little essay about my gmat quant scores that i want to include for all my schools. Thanks!